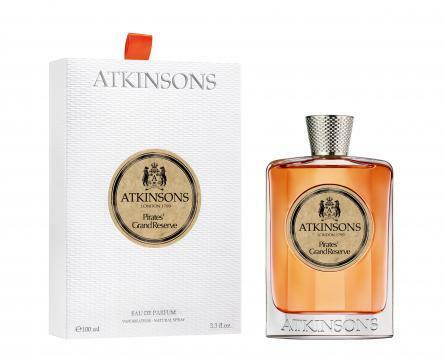 The Contemporary Collection - Pirates' Grand Reserve is a perfume by Atkinsons for men and was released in 2017. The scent is sweet-gourmand. It is being marketed by Perfume Holding. Considering the main notes in Pirates' Grand Reserve, rum and chocolate, happen to be two of my favorites this fragrance was always going to be a pretty safe bet for me. And indeed I happen to love it; it's sweet, boozy, gourmandy and grown up, a permanent presence in my winter rotation. That's not to say the fragrance is without its problems: it would have been nice for the rum note to last longer than 15 minutes, both longevity and projection could be better and the price... well, unless you end up loving the juice madly it's going to feel overpriced since there are similar fragrances in the market available for less money. Still, whenever I spray some Grand Reserve it brings a smile to my face and makes me feel for a moment like an intrepid Caribbean pirate. Hard not to love that. And there's more to see. Hollahi, hollaho, hollahia hia hia, hollaho. and does not fall over. are rising steadily Hollahi, hollaho, hollahia hia hia, hollaho. The one who wears suede underwear. "Why does this smell like vanilla!" Until the upper mast wakes him up. And you want to be a stoker? For a gang of robbers Hollahi, hollaho, hollahia hia hia, hollaho. And in the Patchouli sits the Maat. He's already running away on his own. you know I was kidding. Write the first Review for The Contemporary Collection - Pirates' Grand Reserve!